My name is Jill Walker and I run the ‘Healthier Scotland’ Marketing Team. I manage a team of 6 people who create all the public information and behaviour change campaigns for health topics within the Scottish Government. My team is also the winner of the Communication Award in 2013 last year. We were nominated and won for our work on Breast Cancer, which was part of the Detecting Cancer Early programme of social marketing work. As a result of the campaign 21,000 women consulted their GP with breast cancer symptoms between September to November 2012. This was a dramatic 50% increase on the previous year. 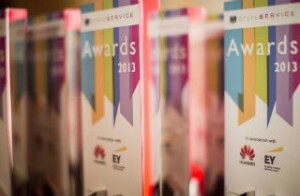 Winning the Civil Service award for communication has been uplifting, gratifying and exciting. Professionally this recognition has helped to champion the value of communications and marketing throughout the organisation and the team's expertise is now in high demand. Without a doubt, I would encourage people who have made a difference to enter the awards. Celebration of exceptional achievement is important. It can really inspire others to aim high. We see it as a privilege to do what we do and we aim to keep making a difference. Who won at the 2014 Civil Service Awards?